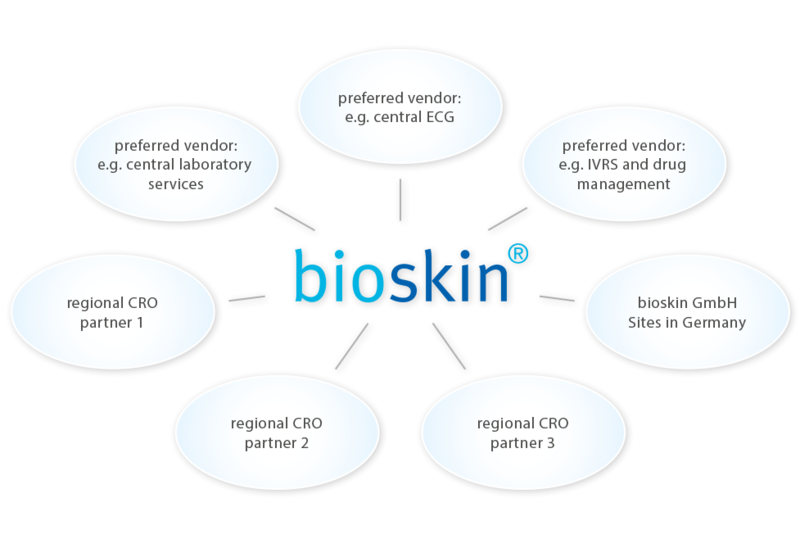 bioskin has an extensive network of investigators and partners which enable reliable and fast feasibility, site selection and trial set-up for large multicenter trials. Our flexibility and dedication to detail, coupled with our expertise over the entire field of dermatology, set us apart from other CROs. Our project teams are fine-tuned with members from regulatory affairs, clinical trial management, monitoring, data management, statistics and medical writing.